Hello Loves, When it comes to your big day, more and more couples are communicating that their ceremony should be as meaningful and important as the rest of the day. 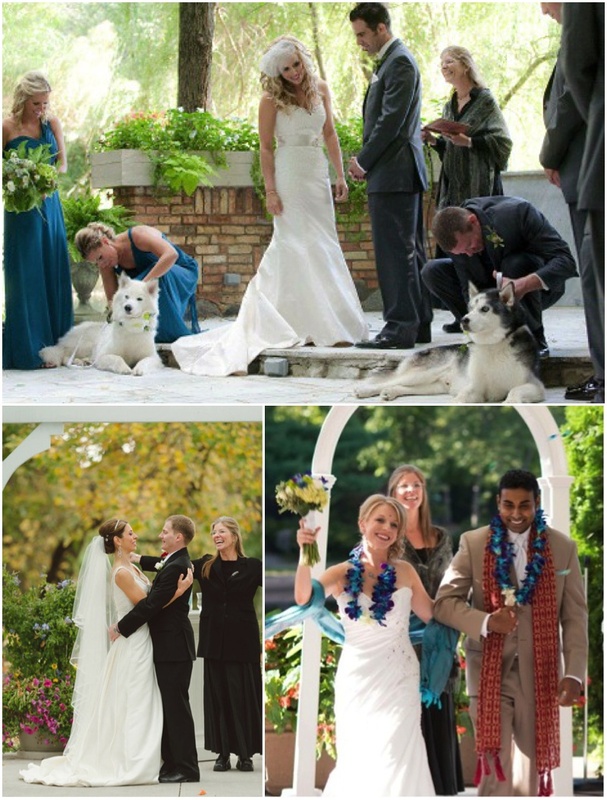 Your officiant will have a great deal of setting the right mood and tone for the ceremony. He/she should be well spoken, have a certain presence, all-the-while bringing your family and friends together as you and your fiancé take the step in becoming one in marriage. For a unique and charming wedding ceremony, we'd like you to meet our friend Leslie Ann Johnson, of Custom Ceremonies by Positively Charmed. Leslie Ann Johnson is a spiritual humanist with an emphasis in comparative theology. She has had the great privilege of officiating for so many couples in beautifully unique and personalized ceremonies that brought together many different perspectives and traditions. A large part of Leslie's interest in attending a deeply ecumenical seminary was her desire to create bridges between faith traditions and communities. She is especially interested in creating ceremonial language for those who choose to celebrate and express a sense of life, love, spirit and connection, but are outside of a defined faith tradition. One of the simplest, but perhaps most profound, discoveries that she made at seminary and certainly in life, is that the greatest common denominator between religions...and non religious but spiritual disciplines, is this: that some of the deepest and truest language of Spirit...is the language of Love. There are so many beautifully varied expressions of this language. For some people there are tangible metaphors found in the power of nature or in the vast universe that encompasses life, for others it lies within the relationships which surround them; some may speak in a humanist way, and others in a more spiritual manner, but all speak to the power of that which is celebrated in their love for one another...and for those, like yourselves, who are fortunate...in their wish to be married! Leslie Ann Johnson would be a wonderful addition to your wedding day. Her smile carries a room and her genuine thoughtfulness for each couple is present throughout the ceremony.